2015 has been a significant year for extreme weather in Oregon, in particular, temperature and drought. According to a search of average temperatures in 2015 from January through August (the latest data available), Oregon has had the warmest year on record, departing from the 20th century average by an increase of 5.0°F1. The warm winter temperatures created a situation where Oregon’s snowpack peaked at the lowest levels measured in the last 35 years, with 60-90% below normal amounts in the western Cascades, and melted 3 months early (eastern Oregon fared only slightly better)2. This has resulted in severe or extreme drought conditions over much of Oregon despite precipitation levels being only moderately below average3. As of the writing of this article, Oregon Governor Kate Brown has declared drought declarations in 25 of the state’s 36 counties4. All of this current weather leads many to ask if it is related to climate change. Climate scientists say that it is hard to attribute the current drought directly to climate change. Rather, they suggest that it aligns with anomalous patterns in the jet stream, a warm patch of ocean water off the PNW coast (the “Blob”), and a strengthening El Niño. That said, it is important to put such extremes into context according to the latest climate change science. 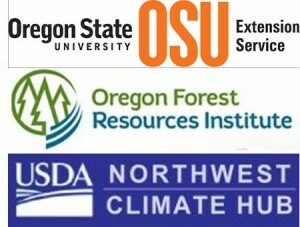 Climate scientists project that average annual temperatures will increase in the Pacific Northwest 3°F to 10°F by the end of this century (compared to the period 1970 to 1999), depending largely on how much heat-trapping gases (Carbon dioxide (CO2), Methane (CH4), Nitrous oxide (N2O)) accumulate over this timeframe5. Temperature increases are projected to be largest in summer. For precipitation, projections are for a 10% reduction in rainfall during the summer5. Additionally, the April 1st snowpack, an indicator of natural water storage available for the warm season, is projected to decline by as much as 40% in the Cascades by the 2040s6. In other words, the “extreme” warm and dry weather we’ve experienced this year may be more like an “average” year in the future, whereas the future extreme years will be even more extreme. What does this mean for our environment and for us? The past summer was the warmest on record for the Pacific Northwest. Climate model projections indicate that the largest increases in temperature will occur during the summer months5. Large increases in summer temperatures, along with decreased precipitation expected during this same period are likely to impact forests. These will be driven by water deficits, increasing tree stress and mortality, vulnerability to insects, and fuel flammability5. Further, forest managers will need to adapt to these changes, which will affect the plant hardiness zones for the most economically valuable tree species. This is particularly challenging when viewed over the entire life of a tree, when decisions about rate of growth and time to harvest must be planned. And, the ecology of whole forest ecosystems is projected to change (e.g. subalpine & alpine forests), threatening associated wildlife species7. Extreme temperatures and drought during the driest months of the year are likely to bring more severe and larger wildfires, exacerbated by historic fire suppression practices. Already this year, Oregon has experienced wildfires that have destroying dozens of homes, consumed thousands of acres of forest, shrub and grassland, and in Washington, claimed the lives of three wildland firefighters. 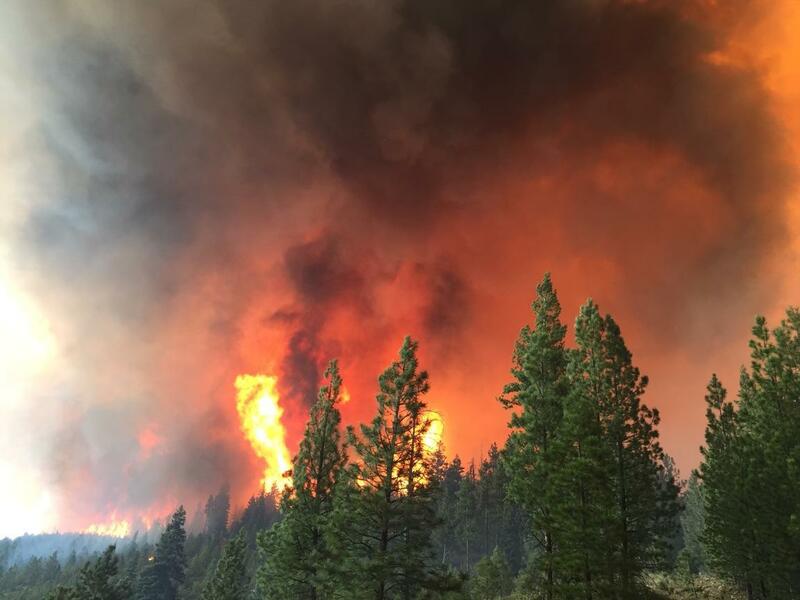 As the 2015 fire season begins to wind down, Oregon has experienced nearly 600,000 acres burned8. What other extreme events might we expect with a changing climate? In 1996, the Willamette Valley and parts of the Coast Range were hit by massive flooding. Heavy rain events in January, followed by cold temperatures, heavy snowfall in the Cascades, and more heavy rain and warming temperatures, created the right conditions for this flood, which struck in February9. According to climate models, we could expect more high rain events during winter and spring months. Regional climate models project increases of up to 20% in extreme daily precipitation5. Averaged over the Pacific Northwest, the number of days with more than one inch of precipitation is projected to increase 13% during a 30-year period from 2041 to 2070, compared with 1971 to 2000. This scenario assumes current rising emissions trends. 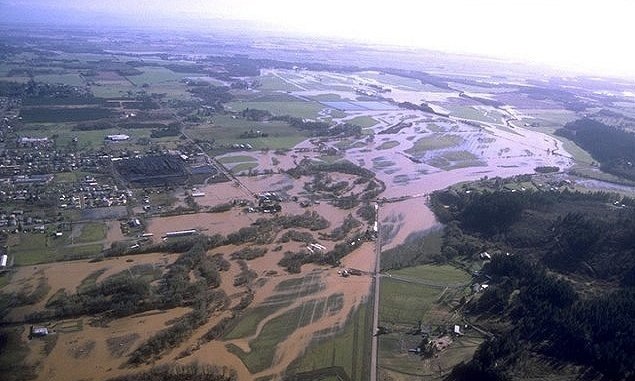 Increases in heavy downpours, similar to the winter of 1996, could increase flood risk in mixed rain-snow and rain-dominant watersheds, such as in the Cascades and Coast Range. Further, landslides could increase due to soil saturation, combined with intense human development and unstable slopes6. This presents relevant challenges to forest managers as they consider when and where to harvest, establish roads, and consider the effects of runoff on sensitive fish-bearing streams and rivers. Extreme weather events viewed in isolation are not necessarily tied to climate change. However, climate models project more extreme weather conditions related to temperature and precipitation. Combined with the effects of human management decisions over the last century, these changes in climate may mean more severe consequences to our environment, economy and society. How we handle these situations is a matter of our ability to adapt and mitigate for extreme events over the next century. State of Oregon Water Resources Department: Drought Watch. Taken on August 19, 2015 from http://www.oregon.gov/owrd/pages/wr/drought.aspx. 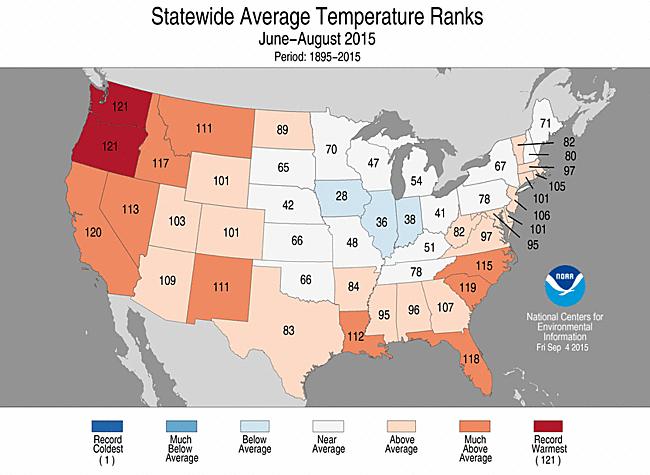 National Climate Assessment – Northwest. 2014. http://nca2014.globalchange.gov/report/regions/northwest. InciWeb – Incident Information System. Taken on Sepember 25, 2015 from http://inciweb.nwcg.gov/state/38/20/.